Most popular Hog Roast questions? How long is the cooking time? We slow roast our pigs for 7 hours to ensure the meat melts in your mouth, as your delicious pig is slow roasting we freshly prepare the famous buffet. Do you cook at the venue? We do not cook at the venue as we have our own private facilities that ensure full safety precautions are being adhered to. Most venues throughout the Country will not allow a hog roast machine to cook on site and for food hygiene reasons we will not allow our cold food to be left out for over 3 hours. We have a minimum package of 50 guests and we can cater as large as 2000 guests but regularly around 150 people. Your chosen serving style will decide the portion size. 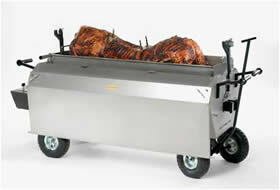 Just one of our hog roasting machines allows us to cater for up to 300 people. If you want to serve more guests, we’ll increase our number of machines. Are we limited to pork? No. Although great tasting roast pork is a passion of ours, we are happy to serve vegetarian alternatives or other roasts of your choice. Turkey and gammon are often favourites during the festive season. Do we have a ‘meat only’ option? Yes. We are happy to provide a meat only option if your chosen venue is responsible for the rest of the catering. We will cook the pig to complement the other services on offer. Each occassion has different requirements, but we are confident that we offer you more for your money without resorting to tricks such as charging extra for salads. Depending on location, if it’s not a local event we do charge a traveling fee to cover mileage. Get in touch with us to discuss your requirements and we’ll give you a personalised quote. Our prices are not only reasonable – and normally better than our competition – but we have a menu to suit any budget or occassion. 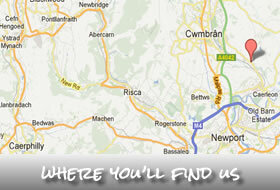 Look out for our special offers on our website, twitter and facebook. Are the sample menus fixed? No. Our sample menus are there to give you an idea of what to expect and we will take on board your input. Some people like to make an odd change, most people stick to the ‘house menus’ which provides the best value for money. We don’t like to give you any surprises, so we include the price of cutlery and crockery in our quotes. Informal events prefer disposables whilst a formal occassion may prefer china crockery and cutlery. Just tell us which you prefer. Some companies will give you a cheap quote but then bump the price up by offering you salads as an extra. We don’t believe in doing that, so we include them in the price of our hog roast buffets and formal menus. How do I book a hog roast? Contact us to see if your chosen date is available. Don’t leave it too long as the popular dates don’t stay free for long. Once you have set a date, we can arrange the menu and deposit payment of £100. The deposit of £100 can be paid in cash, cheque or bank transfer. Whatever you decide, get in touch and find out more.